My local park, Brunswick Park in Wednesbury, won a Green Flag award recently, and although Wednesbury isn't the most up and coming area, I wondered if other areas of Birmingham had won the award. For a park to 'win' a Green Flag award, it must meet the following criteria: how welcoming it is, how safe, cleanliness, sustainability, conservation and heritage, community involvement, marketing and management. Kings Heath is one of the areas of Birmingham which has a thriving and creative community. It only makes sense that the local park is equally as impressive. The park has had, without a doubt, a lot of work put into it, to make it a place which locals can enjoy. There are seasonal bedding schemes which ensure flowers are blooming all year round, and there are fourteen hectares of demonstration gardens and formal areas which display unspoiled flowers, whose bloom is quite breathtaking. Simply, put, it is a stunning park which really pays homage to mother nature. There is also a bowling green, an area designed especially for children and toddlers, and a tennis court. Kings Heath Park really ticked all of the boxes on the criteria list. During my childhood Cannon Hill Park, was where the fun existed. The annual fair at Cannon Hill Park was always a place full of bouncy castles, music, good food and signalled summer and ice cream. I remember crossing the lake with my sisters when I was about five, and loving every minute. Today, Cannon Hill Park is the ultimate spot to enjoy lush green pastures, which is why it has been awarded a Green Flag. For years it has provided locals with a place to play, but in recent years a tennis court has been installed, so you can serve your way to fitness, and then while away the hours on the lake. I'm not familiar with Selly Oak park, so I decided to drive by and see if the award was well-deserved. It is very pretty, with well-kept flower gardens, wide paths so large groups as well as people with dogs can pass easily. Most recently it has been given a quirky addition through the work of locals. A Nature Trail has been created, with wood carvings, which records the history of the park. 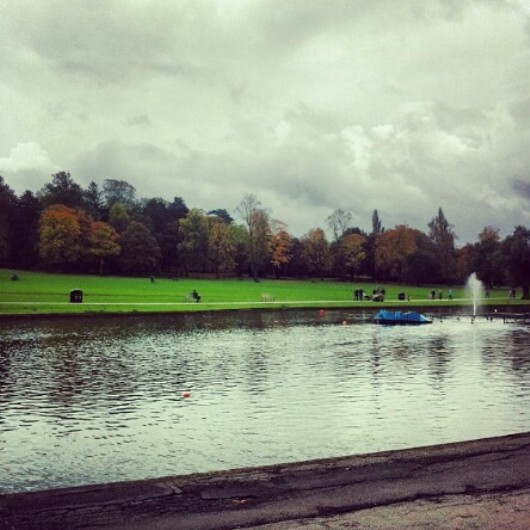 I used to visit Warley Woods all the time as a child. It is one of the largest parks I know, which is on this side of Birmingham. The steep hills are great for sledging during the snow (which I did all the time as a child), great for picnics, and is the perfect place for families and children. 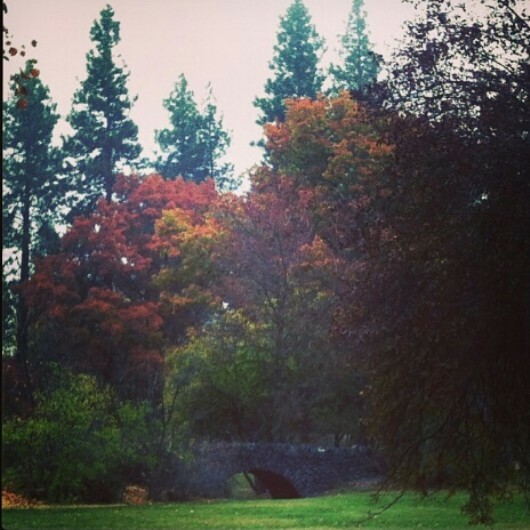 Countless weekends were spent in the park with my parents and sisters during my childhood. We would frequently take bike rides in the park and weave through the trees, and then bravely take on the hills. 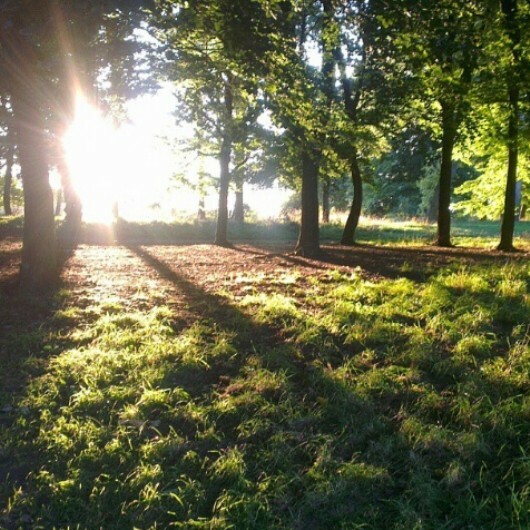 Because of the sheer amount of space in Warley Woods and varied terrain, it's a perfect spot for dog walking, and there are plenty of broken branches, which your pup will love. 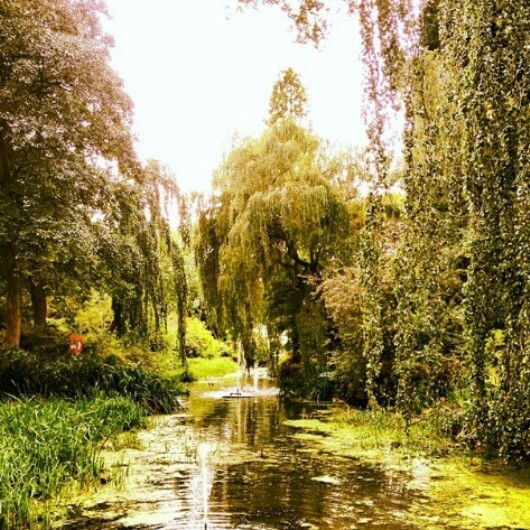 Who knew the UK'S second city, was so full of natural beauty? Exploring the parks, with your children or friends will be a time to create memories, and truly make the most of nature. The park looks especially beautiful with the light shining on it.